The Formax FD 402P1 Paper Jogger is the helping hand that makes sealing, sorting, cutting or folding job go faster and easier. At the same time, it keeps the paper waste to a minimum. What do paper joggers do? It’s purpose is quite simple, it vibrates and shakes up the paper. Ok, why? 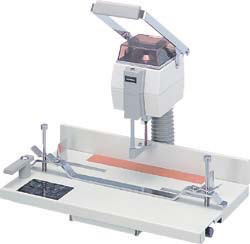 The act of shaking and vibrating reduces static electricity and makes sure the papers are properly aligned. By doing this, your papers are not misaligned or print jobs are not off-centered or stacks of paper stuck together. The Formax FD 402P1 is also elegant. With a simple on/off switch, it requires no special training or complex manuals, just flip, jog and feed. And How Much Do Paper Joggers Cost? Customers can pick up the Formax FD 402P1 paper jogger for $900.00 on the Lloyd’s of Indiana website. Lloyd’s extended warranty options are also available. 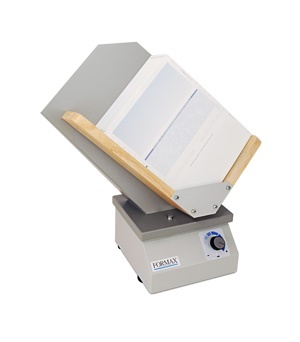 You can learn more about the Formax FD 402P1 Paper Jogger here. Previous Post:Roll Laminating Film or UV Coating for Book Covers? Next Post:Why Stuff Envelopes? Use an Envelope Stuffing Machine.